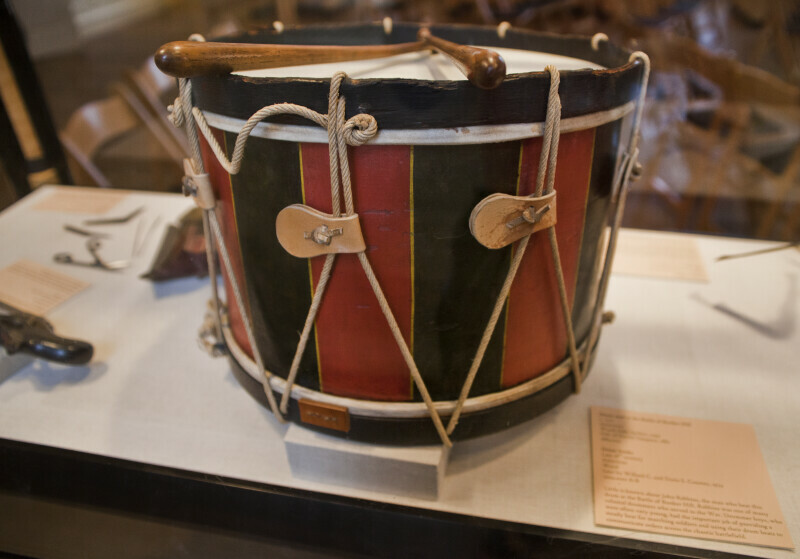 Drum used at Bunker Hill, Old State House, Boston Massachusetts. Drummer boys, often very young, provided a steady beat for soldiers to march to. Also, drum beats could be used to communicate orders across a battlefield.